Author(s): Soodabeh Saeidnia, Azadeh Manayi, Mohammad Abdollahi. Faculty of Pharmacy, and Pharmaceutical Sciences Research Center, Tehran University of Medical Sciences, Tehran 1417614411, Iran. Biomedical investigators use different methods including experimental animals, tissue, and cell cultures as well as computational simulations and clinical studies finding the ways to treat human diseases and disorders. All the mentioned procedures have their own advantages and disadvantages. For instance although animal models provide some drawbacks like difference in biokinetics parameters or extrapolation of results to human, they are more reliable than in vitro tests. The disadvantage of the in vitro procedures is that they are mostly performed on cancerous cell lines that have a substantially abnormal function. Furthermore, although in vitro models are fruitfully used in biological fields, finding an end point, the initial aim of chemical attack, and extrapolation of the effects to the human are some real weaknesses. Absence of biokinetics in in vitro methods may lead to a misinterpretation of the data. The present review has criticized the pros and cons of both methods, especially in the fields of pharmacology, toxicology, and medical sciences. 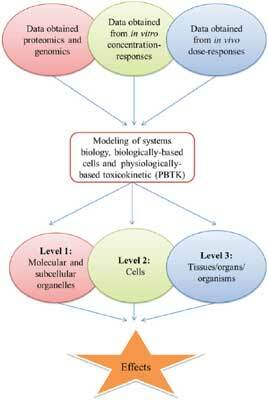 Keywords: Biokinetics, biological activity, clinical, in silico, in vitro, in vivo, novel biomedical methods, review. Affiliation:Faculty of Pharmacy, and Pharmaceutical Sciences Research Center, Tehran University of Medical Sciences, Tehran 1417614411, Iran. Keywords:Biokinetics, biological activity, clinical, in silico, in vitro, in vivo, novel biomedical methods, review. Abstract:Biomedical investigators use different methods including experimental animals, tissue, and cell cultures as well as computational simulations and clinical studies finding the ways to treat human diseases and disorders. All the mentioned procedures have their own advantages and disadvantages. For instance although animal models provide some drawbacks like difference in biokinetics parameters or extrapolation of results to human, they are more reliable than in vitro tests. The disadvantage of the in vitro procedures is that they are mostly performed on cancerous cell lines that have a substantially abnormal function. Furthermore, although in vitro models are fruitfully used in biological fields, finding an end point, the initial aim of chemical attack, and extrapolation of the effects to the human are some real weaknesses. Absence of biokinetics in in vitro methods may lead to a misinterpretation of the data. The present review has criticized the pros and cons of both methods, especially in the fields of pharmacology, toxicology, and medical sciences.